In 1997, two junior faculty teaching the required Operations course in the MBA program at Stanford’s Graduate School of Business found themselves faced with challenges familiar to most Operations faculty: a captive audience of students skeptical of Operations’ value to general managers; students lacking a common context for topics like capacity and inventory control; and the difficulty of combining different course topics into a coherent, integrated skill set. To address these challenges the two faculty, Sam Wood and Sunil Kumar, worked with a computer science research assistant to prototype a competitive online game named Littlefield Technologies. Despite the technical challenges that come with using a technology as new as web-based applications was in 1997, the students loved the game, rating it the most valuable assignment in the course. In addition, a subsequent student poll showed a dramatic increase in the number of students that supported Operations being a requirement for all MBAs. In 1999, Sam Wood founded Responsive Learning Technologies to propagate Littlefield Technologies to his colleagues at other universities. Adoptions grew rapidly and in 2004 Kumar and Wood were awarded the Wikham Skinner Outstanding Teaching Innovation Award by the Production Operations and Management Society for their work on Littlefield Technologies. Sam Wood left Stanford in 2001, subsequently assuming a position as dean of an online MBA program that grew to more than 2000 students during this tenure there. 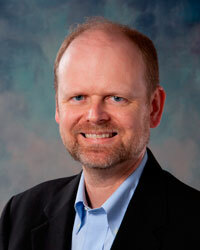 In 2004 Sam Wood became Responsive Learning Technologies’ full-time president and CEO. Sunil Kumar ultimately became a chaired full professor at Stanford’s Graduate School of Business. In 2011, he became dean of the Graduate School of Business at the University of Chicago. Responsive Learning Technologies now provides a variety of serious online games developed with leading scholars. The company also provides assessment and instructional modules developed to ensure prerequisite skills for students entering academic programs. In 2010, the company served more than 40,000 students in more than 500 courses, in more than 30 countries.